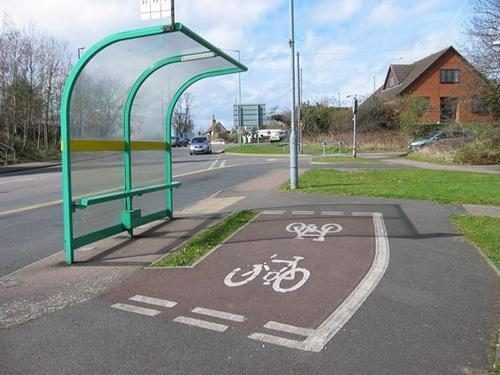 The Architect’s Journal has a nice article on a new book entitled Crap Cycle Lanes. This charming book provides pictures of dozens of half-hearted, incompetent and dangerous cycle lanes. Crap Cycle Lanes is available from the Eye Books website, Amazon or any good bookshop. The book was inspired by the Warrington Cycle Campaign and all royalties go to the Cyclists Defence Fund. Looks pretty good. Anyone got similar stories or pictures? Post them in the comments!